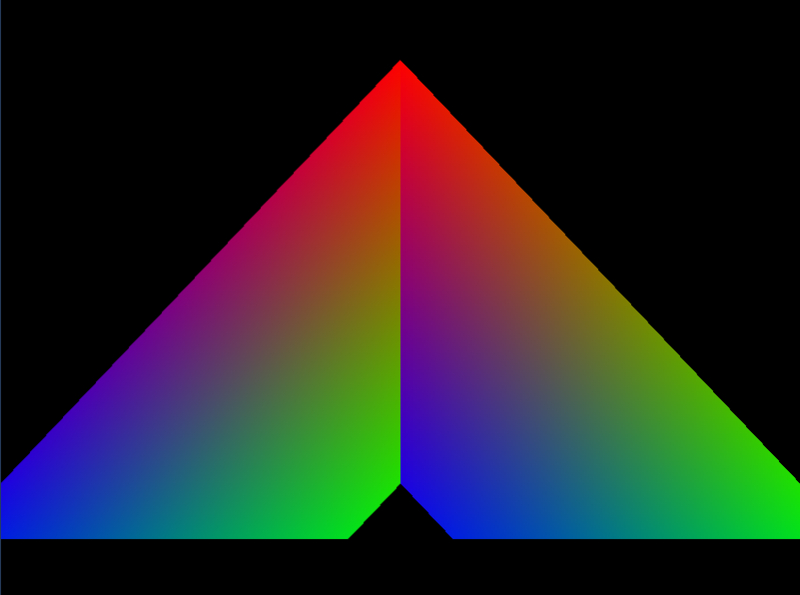 I'm learning OpenGL and I've got a problem with incorrect rendering. This is the problem I'm having, there are gaps between sides of pyramids. Here are the vertices I'm using to construct. This came up with this strange behaviour, having more sides being drawn. The three sides are rendered but it is only supposed to view only two! How can I solve this problem? I have also enabled the depth test. glOrtho sets your viewing area. Since your shape fits inside of 1 square unit, but you want to be able to see the whole thing, you can either have your near and far set to enclose the whole shape (which the 2, -2 do) or you can set your glOrtho to something like glOrtho(-1, 1, -1, 1, 0, -5); and translate your shape backwards so that it is then in the viewing field. Another (bad) option is to change the absolute position of your verts so that they fall within the near and far fields but I wouldn't recomend that since that is the point of the translates and transforms in general. Do you mean to have everything in an orthographic view or do you mean to have perspective? The orthographic view is why translating didn't help originally. Not the answer you're looking for? Browse other questions tagged java opengl lwjgl or ask your own question. 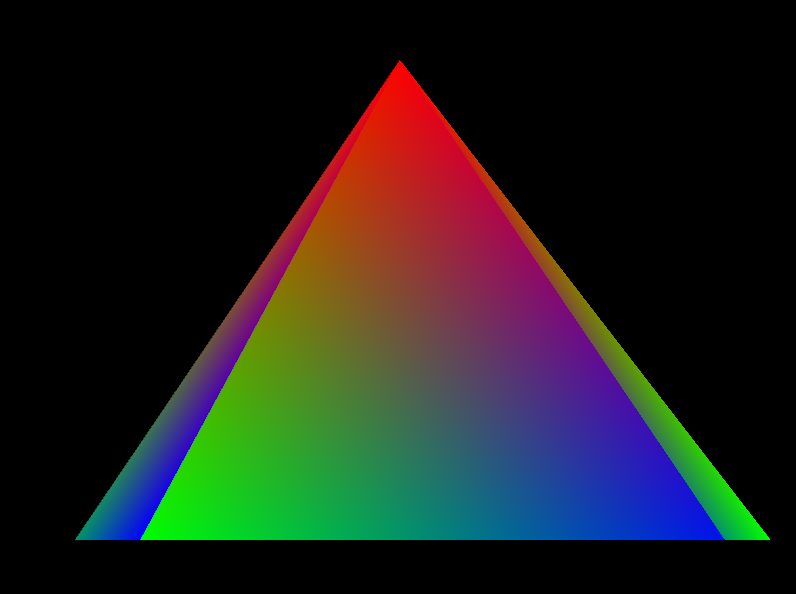 How to use glOrtho() in OpenGL?